With the release of the record breaking Pokemon Go. Many coders and programmers made hacks for Pokemon Go because because Naintec put some restriction at the early ages of this game. Like the game was unable to download and play on jailbroken iOS phones. But now this restriction has been removed. Now as you all know that Pokemon GO is location oriented game and you have to move around physically either to catch a pokemon or go from place to place. For hacking this situation and to to go every while staying stationary, tutuapp for pokemon go can help us. Although there are some Pokemon Go Tips and cheats which will make you master it but why not try the short way. PokemonGoAnywhere is used to hack real life walking in pokemon go by touching on the map. And you can hack pokemon go using tutuapp by installing PokemonGoAnywhere without jailbreak or Pc that will let you tap to walk. Actually Tutuapp is a cracked app store to download free apps. However this does not mean that you can use it for that though there are other better apps than this. Tutuapp is good because it provides you third party sideload apps for pokemon go. In short you will get many pokemon go tweaks apps. 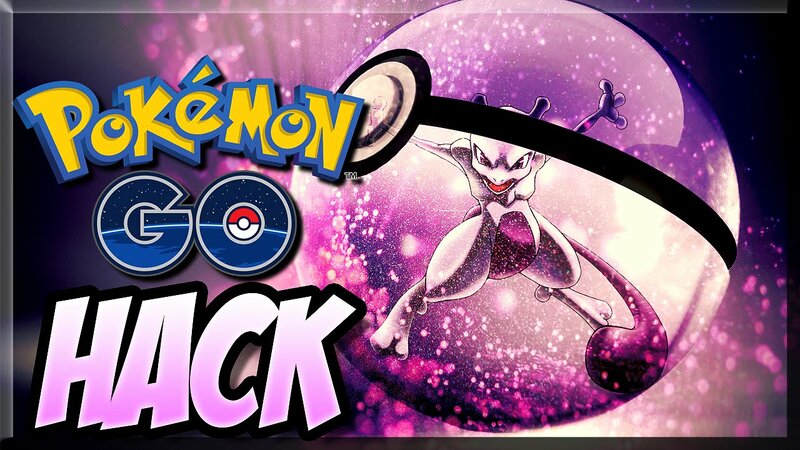 I will show you how to hack walking in pokemon go but furthermore you can also install other tweaks too if you like. To hack real life walking in pokemon go using tutuapp. You can follow the steps below. You don’t need any pc neither you need to jailbreak your device. 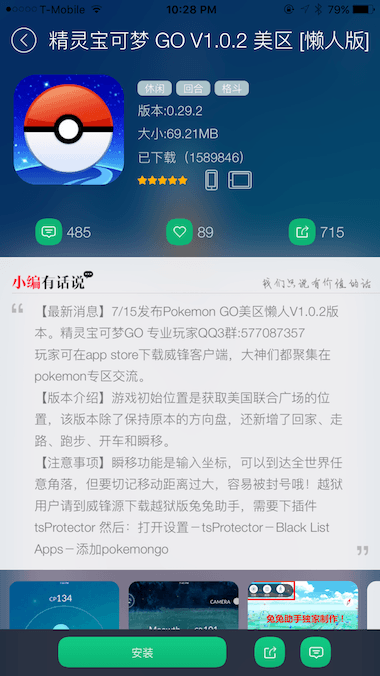 Just install this appstore and download pokemonGoAnywhere as stated in the steps below. So, let’s start. Below are the steps to install hack pokemon go real life walking using tutapp. Unlock your iPhone or iPad and launch the browser. Type the url address “tutuapp.com” and go. Now you will enter into official tutapp website..
From there you need to install tutu appstore on your phone. Tap on the green button to download it. Once it is installed now you need to trust the enterprise of this app. Hope you know how to trust this. It can be done by going to settings>>general>>profiles and trust the untrusted enterprise profiles. Once installed tutuapp. Open it from apps drawer. There will be pokemon go icons there. Tap on any one of them. Install it by tapping the green button that scrolls with he screen. A prompt message will appear. Tap on install button. Now again trust the enterprise of this newly installed app from settings>>general>>profiles. All Done!!. Now you can launch pokemon go and tap on anywhere on the map to go to that place. Cool isn’t it. Note: You need to put coordinates of your location before logging in. You can find out your coordinates with GPS Coordinates Finder app. This will secure your account from soft bann. Remember that this is a tweak and these type of tweaks can get your pokemon go account banned for some time. You may face some functions of pokemon go unresponsive after this tweak. But it is only reported by users as i haven’t tested it myself. Also check out other pokemon go cydia tweaks. So that is it. I hope you liked my tutorial on Walking Hack Pokemon Go (Tutuapp) without jailbreak. IF you have any questions, drop a comment below. Do share other pokemon go tweaks with us. Please share it and subscribe to our blog. rename a pokemon and the control overlay comes back. my pokemon go always crashes as soon as it starts.I dont why is it happening I have reinstalled the apps many times but nothing is happening.I am surfing on many websites to find if this is happend with anyone else. The Pokemon Go game has disappeared from the tutu app 🙁 gutted.. I had to reinstall after iphone problem now it’s gone.. Anyone else? When I open the tutu app I can’t find the logo. I’ve tried typing Pokemon go in the search balk bit it didn’t appear. I used to have the pg app from tutu and it was great but since it stopped working along with tutu all of a sudden I decided to redownload. It worked with the tutu app itself but as mentioned above the Pokemon go app is untraceable. Does anyone know how I can still find the Pokemon go app in tutu if it doesn’t show up when I open tutu? Or does anyone know the name of it in the language tutu uses? I already download tutu apps but howevever the page no longer have pokemon go. hi! I downloaded tutuapp yesterday but it doesn’t work, the gym, poke stops, not showing up. Please tell me how to fix it. thanks a lot. Downloaded the Android version and finally got it to work. However now that I am in game there is not a keypad to move around or any other ways to change my location. is there a way to change locations before the game loads? the game loads too quickly for me. i like the feature on pokego++ where it is loses the gps signal every so often unless you keep the character moving. i want to go elsewhere besides san francisco, but am afraid that it’ll look suspicious if i teleport to another area mid game. Have a different account. Use that account to teleport, after teleporting just log in your main account. That’s what I do and i’m still located to where I teleported from the other account. Just make sure your other account has no rare in case it’ll be banned. It seems to stop working few hours back. 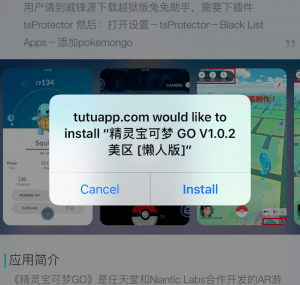 So I tried redownloading it again only to find that tutuapp doesn’t have Pokemon go anymore. Is there any other way? 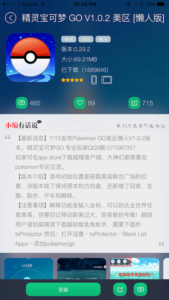 Pls let me know when tutuapp have updated the pokemon hack. After install tutuapp.apk i need to download pokemon go.. i am already download but i can’t install it in my huawei p8 lite android L.. please help me. Why i cannot collect pokeball at poke stop? Already spin and nothing going out 🙁 ? I have to update the app ? But it keeps taking me to the regular download on the app store . how do i fix this or is there no update hack to the updated app right now ? The real Pokemon Go as well. Unfortunately, the hacked Pokemon go says that it still needs to update, and it redirects us to real pokemon GO. I hope u guys update it with the new version at this moment. Theres a new update popping up now. I cant play the tutuapp pokemon go now because it requires a new update. I’m trying to run this on my iPad mini, but I have the “GPS signal not found”. The iPad has no GPS no this seems normal but is the game not supposed to fake it ? Why does it crash? Cant play cause it crahes! What can I do if pokemon go crashes? When I press the app it loads but when (stay aware if your surroundings) apears it crashes! Any help pls!!?? No, don’t worry. Nothing will happen like that. I logged in and live in Australia some how I end up in San Fransisco when I log in. I got banned not long after . How do I start my location from the exact location of where I am. you can change your location in the teleport icon, and put the coordinates you want, the home icon is to return to San Francisco, anyway, you have to wait 3~4 hours after you move your location. Pareil pour moi! J’suis dèg… Comment on peut faire? This Pokmon Go i not opening, it says it wont open until it is verified, then ehen I tap “verify” under profiles, it doesn’t do anything. It was working this morning. Any advise? Ever since the 1.1.1 update of Pokemon go i cant use and download the Pokemon go app from tutuapp, does anyone knows how i can fix this problem? so when i get to the app and try to download pokemon, i press install and then go to my home screen and the new pokemon app starts to download normally, however when it gets to the end i get a notification saying it’s unable to download the app at this time and i press retry but no use. I trusted the first app in settings and the pokemon one doesnt show up so i cant trust it.